Searching for Holi quotes, wishes, messages and greetings. Now there is no need need to search for them anymore. As here I have compiled down some of the inspirational and funny Holi quotes, wishes, messages and greetings for you. Just hope you able to find the correct words for your Holi wishes. Enjoy every colour of Holi and you will get every happiness you desire. Hey, God is always with you. Enjoy every moment. Keep smiling. Happy Holi! Wish you a very Happy Holi. Enjoy bright colours of happiness and love. 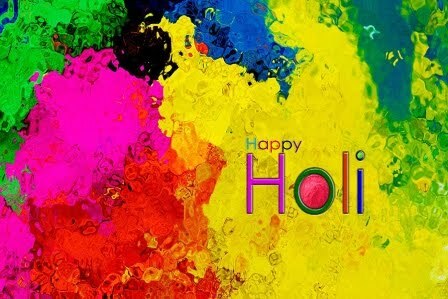 Very Happy and Colourful Holi to you and your Family. I wish that this year will bring every moment with happiness. May God bless with all colors of Holi. May God spray colors of success and prosperity over you and your family. I wish this Holi is as special as it has always been. Rangon se bhi rangeen zindagi hai humari, rangeeli rahe yeh bandagi hai humari, kabhi na bigde ye pyar ki rangoli, aye mere yaar aisi Holi. Aapko mubarak ho Happy Holi! Unki jeevan mein uski haar hai.